Whenever my husband and I travel we always make sure we eat local foods. A few years ago we went to Puerto Rico for our annual vacation when I was seven months pregnant. I went online to see what one of the main dishes of Puerto Rico is. 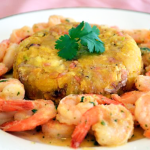 I found out that it’s shrimp mofongo. Yes, it has a funny name but I had to try it anyway. I tried it once and was hooked. 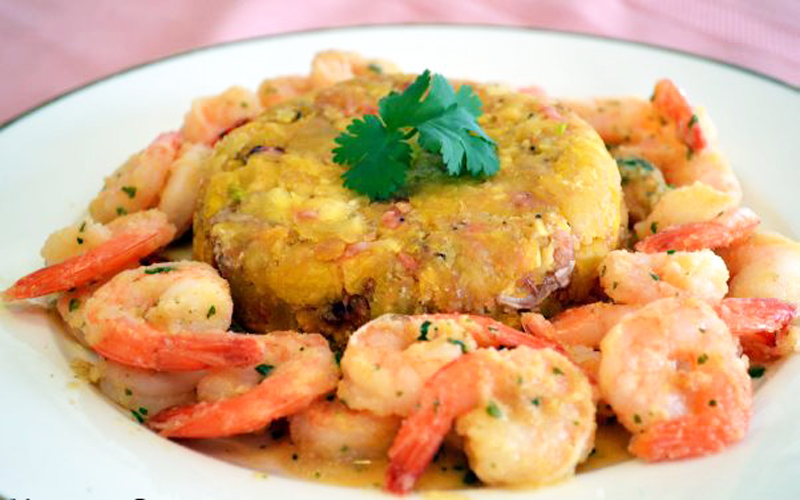 The first time, I ate mofongo with shrimp and the next time was mofongo with chicken. 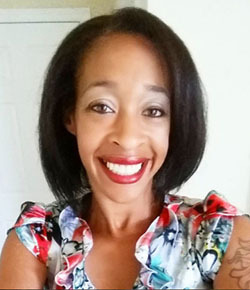 I’m not sure if it was the baby talking because I loved them both and ate mofongo every single day of our week long vacation (yep, I’m blaming it on the baby). I guess I can also say that it’s my love of starchy foods that had me wanting more! When we came back home I just had to try to make my own, so I researched several recipes. Most recipes had crushed pork rinds and I didn’t realize it when I was gobbling it down for an entire week! None of the descriptions on the menu mentioned pork at all. When I told my husband that it included pork, he laughed at me because I usually don’t eat pork (once again, I’m blaming that on the baby too). 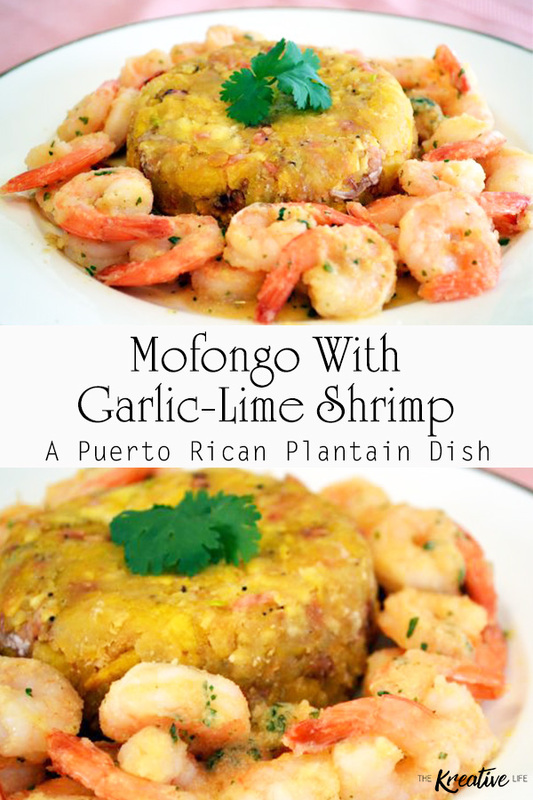 Well, I still wanted to make my own Mofongo with Garlic-Lime Shrimp so I substituted the pork with beef flavoring and this Puerto Rican plantain dish came out pretty tasty. It was just as good! Enjoy! 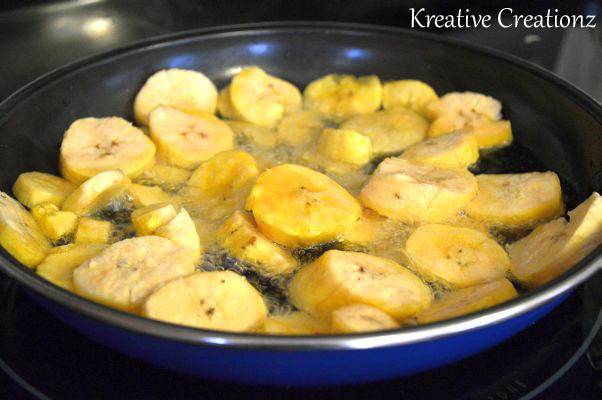 In a frying pan, over medium heat, heat oil and cook plantains for 10 minutes, flipping halfway through. Be sure not to overcook or plantain will be too hard. 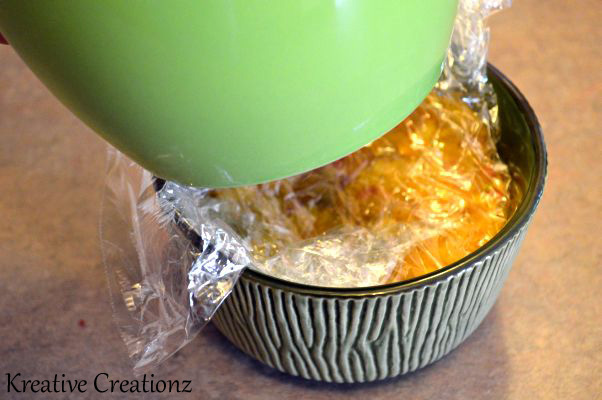 Remove plantains from pan and remove excess oil by dabbing with paper towels. In a small frying pan , cook garlic cloves and bouillon until golden brown. **For this part, usually a pestle and mortar are used, but I didn’t have a set available so I improvised. ** In a large bowl, smash plantains with fork. 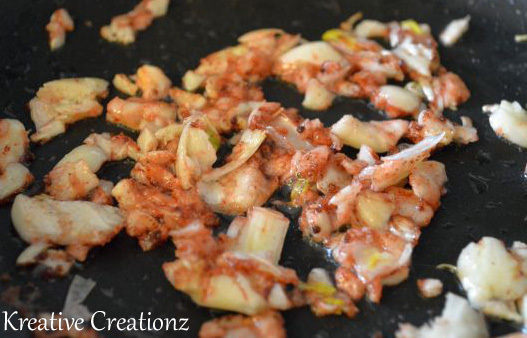 Add garlic powder, salt, and garlic cloves. 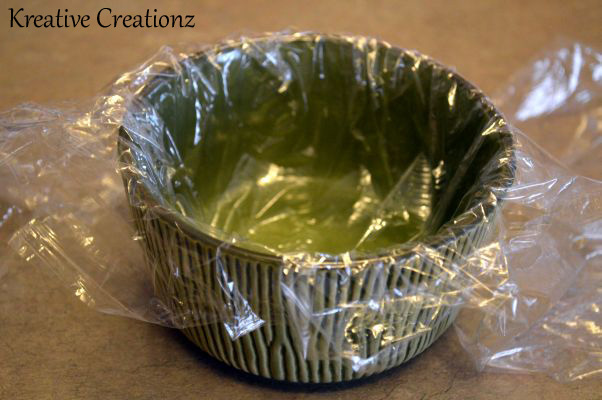 Line a small round bowl or container with plastic wrap. Press plantains into bowl until completely compacted. 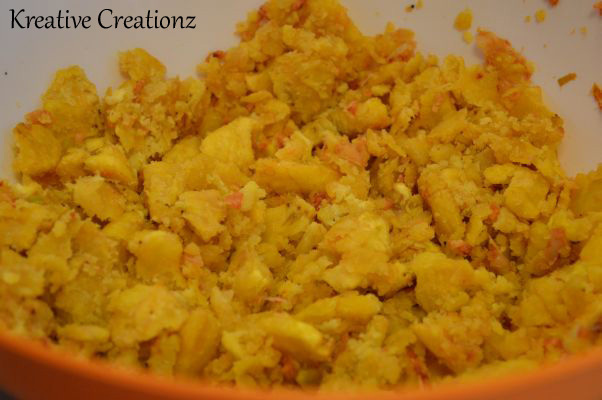 Remove the pressed plantains from the bowl and put on plate. In a frying pan, over medium heat, cook shrimp, lime juice, butter, garlic powder, and parsley. Cook for 2 minutes. Add shrimp to the plate around the plantains. Thanks you so much for your helpful sharing post! Absolutely mouth watering! Looking forward to seeing what you have. Now i can’t control myself to have it. Is this for 1 serving ?